Well, the Little Arrowhead Cardi has been frogged. I did stop in at both yarn shops here in Kelowna on Saturday. Art of Yarn carries the Butterfly Super 10 cotton but the colour I need has, it seems, been discontinued and, therefore, no longer available. Kelowna Yarn and Needlecraft doesn’t carry it at all. Considering I would need approximately three skeins, I decided I would be better off to frog it and use the yarn for something else. (Frogging, incidentally, for those of you who don’t knit, simply means taking your knitting apart, unravelling it; it comes from rip it, rip it, rip it, similar to the sound a frog makes.) Ethan and I had great fun ripping and rewinding the yarn. That was Saturday afternoon. In the meantime, I cast on for a little hat, one I designed years ago, while working at Art of Yarn. The Lacy Cantata Hat is a lacy, close-fitting cap designed to be knit in a DK weight cotton and will fit most. At the time, I used a yarn called Cantata (the cap used exactly one ball of the Cantata); the Butterfly Super 10 is the same weight. A lot of people mistake the stitch for crochet but it IS knitted. 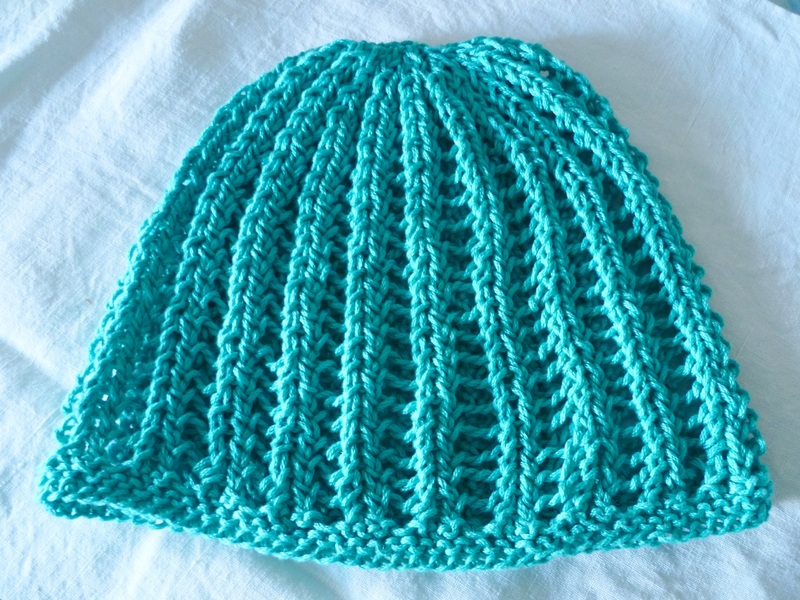 It’s a quick knit and it’s a cute little hat, perfect for spring, summer, and fall… and it looks very “hippy”! I’ll try to get pictures of Trinity wearing it this coming weekend. I think it’s something she might like. It would be fun to dress it up a little, too.. perhaps a fun pin, a crochet flower? I might even make up a few and put them up for sale on my soon-to-be-up-and-running Etsy page. I may also rewrite the pattern, update it a little. Maybe. If there are enough hours in the day.